“What in the world is going on out there?” From back in the studio, it sounded like a crazy storm was blowing through. The booms were sometimes strong enough to rock the entire building, and when I came up front to check it out, I was nearly blinded by the light flashes. People were running around yelling and throwing things, but I didn’t see any rain. Just as I opened the door to step out for a better look (because I’m a genius, you see), Officer Dredd blocked me. Posted in: Uncategorized. 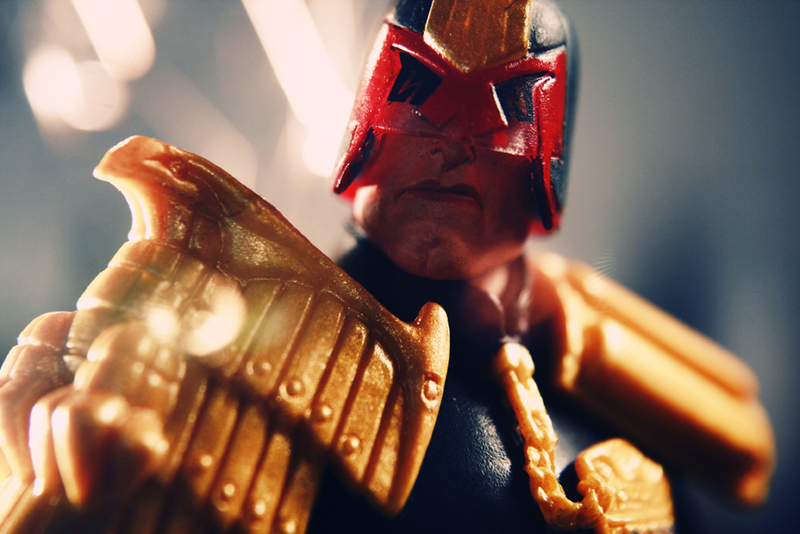 Tags: 2000ad, action, dredd, figure, I am the law, john wagner, judge, lawgiver, photo, photography, prog, toy, toys.